Are you looking for Como Skip Bin Hire, then look no further than MCM Skip Bins. 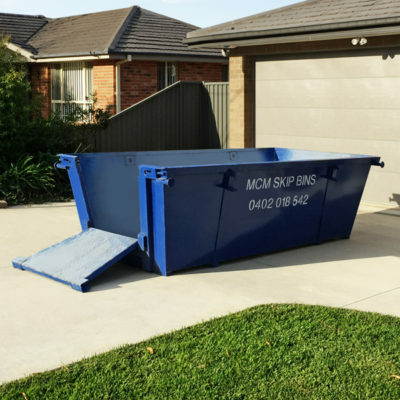 MCM Skip Bins are your local bin company offering fast and easy skip bin hire in Como. We can look after all your Como skip bin requirements. Our skip bins are affordable and come in various sizes 3, 4, 6 and 8 cubic metres. Let Matt give you a free quote and recommend what is the cheapest option for you. Como is a beautiful bushland suburb located on the banks of Georges River in the Sutherland Shire. The peaceful and relaxed riverside suburb of Como is approximately 27km south of the centre of Sydney. Take your pick! Enjoy the vistas of the Georges River from the Marina café, wine bar or Thai restaurant. Como marina is a busy workshop and slipway. The Marina also offers party pontoon and boat hire. The historic Como Hotel sits high and majestic. Enjoy a meal and cold beverage over looking Scylla Bay Oval and Como Leisure Grounds. Scylla Bay Oval is home ground the Como Crocs Junior Rugby League team. The Como Leisure ground has an adventurous playground for kids and free council swimming pool in the warmer months. Homes in Como are seeing bathroom and kitchen renovations. Extensive renovations like second additions and large backroom extension are also common. All sizes of our bins are used in Como. 3 and 4 cubic metre skip bins are the smaller job. 6 and 8 cubic metre bins are demolition and site clean-ups.